It’s all set and ready for my first ever SEO podcast with Click Consult – a top Digital Marketing agency based in the North of England. In about half an hour I’m gonna be talking to Chloie Brandrick about technical SEO. 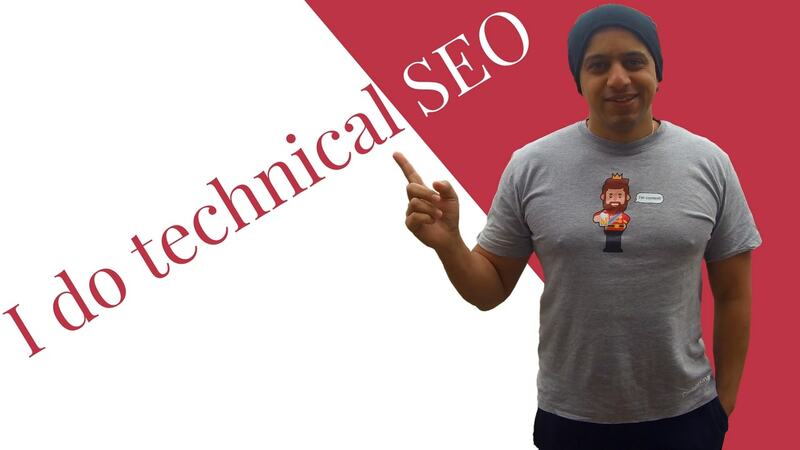 If you wanna know more about technical SEO you have to listen to my first ever SEO podcast. SEO should be the heart of every company but it’s not the only thing that’s gonna make you successful online. Recently every time I come to central London I would be visiting my SEO agency. So naturally, my brother thinks that every time I come to central London I am visiting my SEO agency which is basically not true. Now apply the same logic to RankBrain – a machine learning algorithm – and you get the following. If in your industry – and I will repeat this one – in your industry, a big percentage of your audience is interacting with short-form content than naturally, RankBrain would think that short-form content is the best for your industry. If a big percentage of your audience is interacting with a long-form content naturally RankBrain would think that long-form content is the best thing for your industry. So if you want to be successful online you have to know your audience. One of my followers on LinkedIn just asked me. Omi, when did you decide that your videos are good enough to upload online? Jeff, mate, I didn’t decide anything. One day I just grabbed my camera and I started shooting. Don’t wait for perfection. Decide what you want. Make a plan and work on it every single day. This camera costs me only £100. Look around me I don’t even have a microphone. Cause it’s not about the equipment. It’s all about the story. No. No. I am not hiding from my momma. Although this morning I ate a whole jar of Nutella and I am not going to the gym. I am actually trying to. I am playing with my new toy. My new NAS box from Synology. It seems to me that a lot of friends and a lot of colleagues don’t’ know what NAS is. NAS is a Network-attached storage. Basically, you’ve got this small box that you can hide in the cupboard and it acts like a cloud service. So if in the year 2018 you are still paying for cloud services – Dropbox or you are paying money to Google Drive you are definitely doing it wrong. You can access this thing from anywhere in the world. You can connect it to your mobile all the photos that you take are automatically uploaded on this device so basically, your storage here is always it’s always good. Hi Guys, today is a beautiful day. I know it’s snowing outside and it’s cold and it’s miserable but there is this new social media App that is generating so much buzz. It’s called Vero. Some people say that this App is the new Instagram. I don’t think so. Some people say that this App will kill Instagram. I don’t think so. But I like it. I like it a lot. I just love the idea of a social media app where the algorithm doesn’t tell you what’s good for you. Where everything just comes in a chronological order. And the pictures they look good in portrait or in landscape mode. It’s free for the first one million users so go subscribe straight away. As it’s super cold outside I hope you can see my bike – it’s covered in snow – let’s do couch SEO. What is data, and why it’s so important? Data is simply another word for information. The best way to describe the word information is by its synonyms – intelligence, guidance, knowledge and last but not least direction. By examining large amounts of information, it is possible to uncover hidden patterns and correlations. So to answer the question above – data allows businesses to make informed/intelligent decisions about future projects or business directions. In the last two weeks, I’ve spent a lot of fo time talking about technical SEO. I’ve done a podcast on technical SEO. My first ever SEO podcast. I’ve done two webinars, two roundtables and I’ve written two articles on technical SEO. One may say that Omi is trying to push his agenda. Well, you know me better than that. As long as we are talking about SEO I am happy. But you must have an effective SEO strategy. An effective SEO strategy that leads to more organic visits, more qualified leads, better brand awareness and ultimately more revenue. If your SEO program isn’t providing all of these benefits you are probably allocating too much time to the wrong tasks. So what is my favourite SEO framework? I am a big fan of the 80/20 framework. You should be spending 80% of your time doing engagement SEO and 20% of your time doing technical SEO. But when I say 20% I mean 20% of solid technical SEO. No ifs, no buts! Technical SEO is still the foundation of all SEO efforts. And only when you have a solid technical SEO foundation you should be shifting your focus to engagement SEO. Guys, it’s Sunday. My team is playing. I am going to the PUB to watch the game with my mates. And I am having an amazing day. And if I am having an amazing day you should be having an amazing day. With that in mind, do come back here next Sunday cause, cause I love spending time with you.